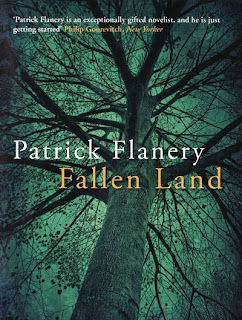 Following the critical acclaim for his debut, Patrick Flanery's Fallen Land is his astonishing break-out novel; a nail-biting story powered by a fierce anger at the utter failure of the American dream, and the greatest fears that lurk in every one of us. Poplar Farm has been in Louise's family for generations, inherited by her sharecropping forebear from a white landowner after a lynching. Now, the farm has been carved up, the trees torn down; a mini-massacre replicating the destruction of lives and societies taking place all over America. Architect of this destruction is Paul Krovik, a property developer soon driven insane by the failure of his dream. Julia and Nathaniel arrive from Boston with their son, Copley, and buy up Paul's signature home in a foreclosure sale. They move into the half-finished subdivision and settle in to their brave new world. Yet violence lies just beneath the surface of this land, and simmers deep within Nathaniel. The great trees bear witness, Louise lives on in her beleaguered farmhouse, and as reality shifts, and the edges of what is right and wrong blur and are lost, Copley becomes convinced that someone is living in the house with them. As soon as I read the blurb of Fallen Land, I knew it was going to be a one-of-a-kind read, and as the story progressed into troubled characters and surprising events, I knew my speculation was coming true. The characters, particularly Paul Krovik, were beautifully crafted though damaged by their past and occurrences in life. I felt true understanding for all of them. Though Fallen Land was disturbing and frighteningly surprising at times, I was still drawn in by the developing plot that called to be read more. 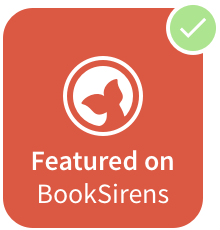 The last portion of the book was created astonishingly and the ending was unexpected and startling. There are no other words to say it was amazing other than I truly loved reading Fallen Land, start to finish. Many thanks to lovereading.co.uk and Atlantic Books for the copy of this book!